Bucolic and picturesque, this G’town fixture offers fresh and inventive seafood fare. : In an idyllic setting by the C&O canal, this Georgetown spot is super chic yet casual. It’s a place to relax at the raw bar over oysters and chilled wine or to dine seriously on the terrace on seafood. If you like crab cakes, these---made from jumbo lump crab meat without fillers---are among the best in town. There's plenty for any Old Salt to enjoy, however, from the seafood linguine to the pan-seared scallops. Desserts may include a New York-style cheesecake and a martini mousse. In agreeable weather, sit outside overlooking the rippling waters, fishermen and strollers. 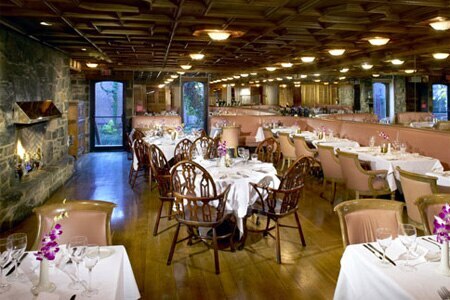 Otherwise, enjoy the vast and elegant interior dining room and the long marble bar.